The launch of a new interactive mapping tool means every home and business in Nottinghamshire, England can now check instantly if they have access to superfast broadband at their property. And if not, they can see if they are part of future roll-out plans. The Better Broadband for Nottinghamshire (BBfN) programme, led by Nottinghamshire County Council, has invested more than £30 million (€35 million) in the county’s digital infrastructure since 2014, providing superfast broadband access to over 80,000 homes and businesses across the county. 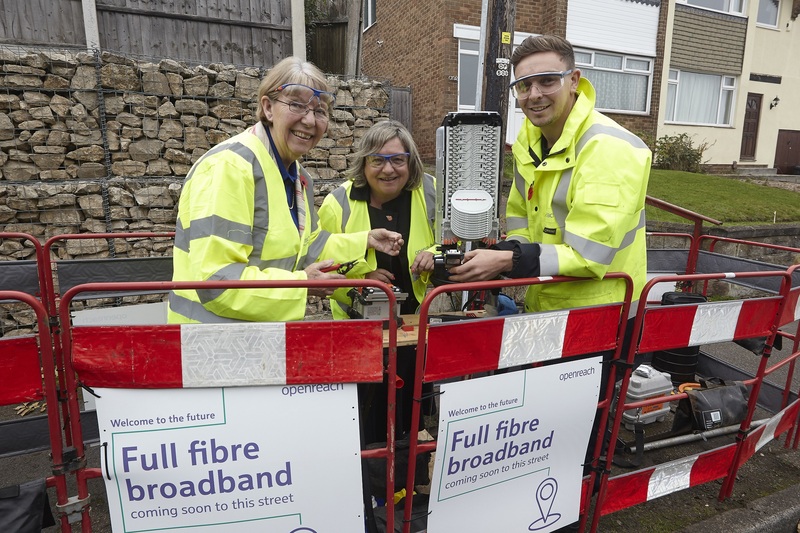 Around 98% of properties in the county now have access to superfast download speeds – making Nottinghamshire one of the best-connected counties in the country. Councillor Kay Cutts MBE, leader of Nottinghamshire County Council, said: “The fact that Nottinghamshire has one of the most comprehensive superfast broadband networks in the country is a major selling point for the county when we are competing with other areas to attract new jobs and investment. According to independent estimates, the Better Broadband for Nottinghamshire programme (BBfN) will be worth £302m (€352m) to the local economy over a 15-year period, representing a return £11 (€12.8) for every £1 (€1.17) of public and private investment made.